Natural Engraved Walnut Desk Wedge w/ Logo | 2" x 10"
100% current with the latest governmental regulations, all our ADA signs are compliant. Ensure that your company is not at risk of receiving a large fine for not following ADA rules and procedures. 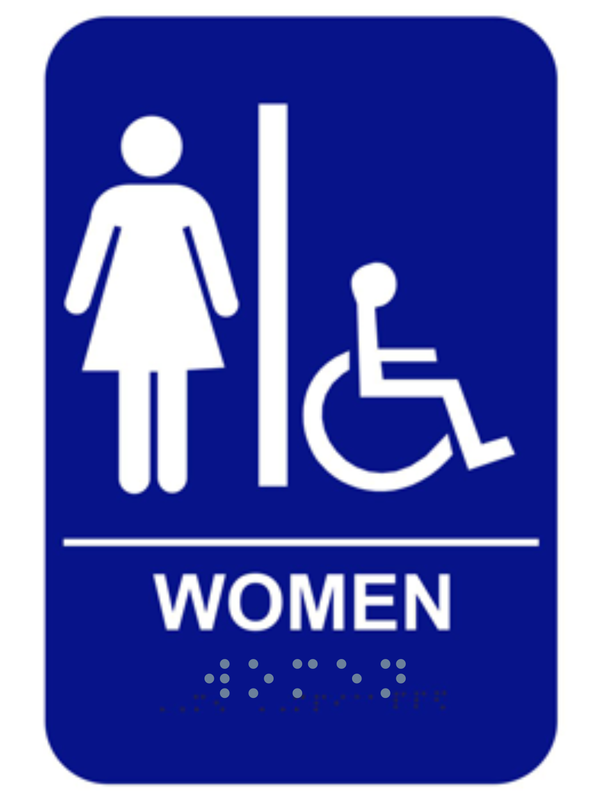 Manufactured in our Florida manufacturing plant, this Blue Women’s Handicap ADA Braille Restroom sign will be a fantastic addition to your business. Order your ADA compliant sign today!